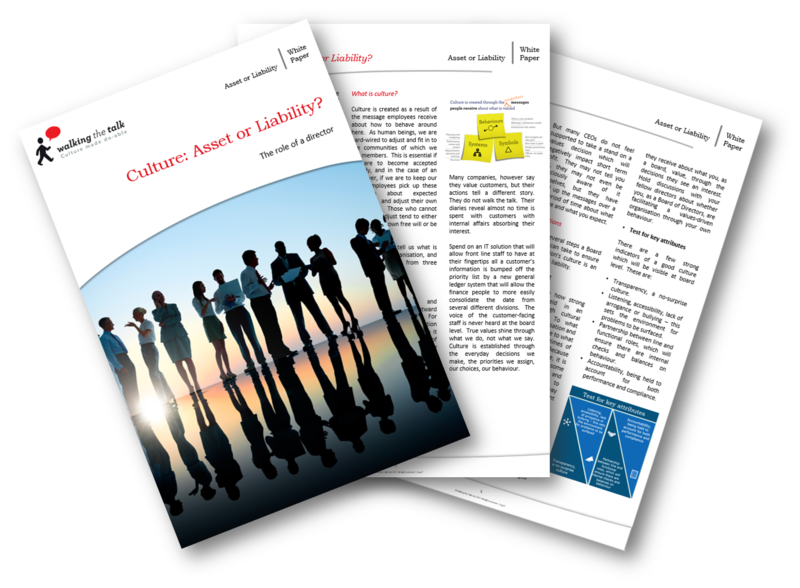 Thank you for your interest in the Culture: Asset or Liability? White Paper. To download please complete and submit the form. The director of a company has a responsibility to ensure the company operates in the best interests of the owners, and this includes not allowing a culture to develop which could increase the risk of unethical, fraudulent inefficient or arrogant behaviour. Whenever you are on the board of a publicly listed company, charity or corporatized government entity, or the owner of a small or medium sized business, you must understand how to influence culture. To download please complete and submit the form.